Hyngarps Frästeknik AB is a family owned company and is located in Markaryd. Our goal has always been customer focus, characterized by great customer support and short lead times, and we always try to find solutions and set up when it breaks down. Big words perhaps but we stand for it! We work mainly with metal cutting and also perform assembly, painting and pressure testing. All production is subcontracting. Our production area is about 3000 square meters. We are continuously working 2 shifts. The company was founded in 1985. 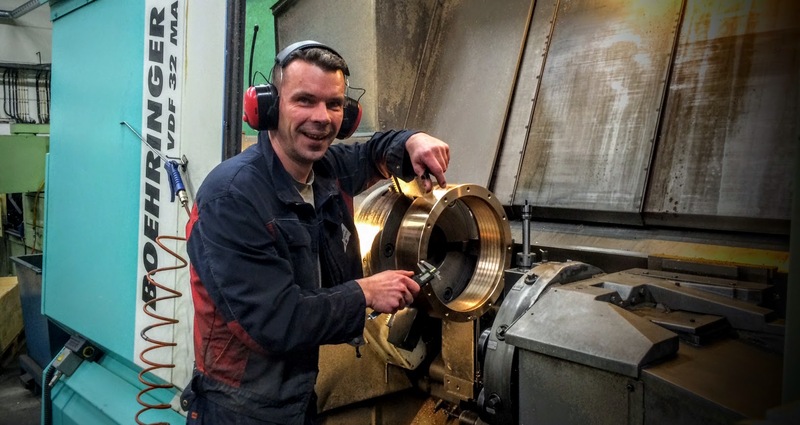 Based on customer specifications, Hyngarps Frästeknik AB performs cutting machining mainly in metal. We turn to Swedish / European industry, our customers are in heavy vehicles "offroad", energy, construction and marine. We strive to keep short lead times and high delivery reliability. We achieve this by having competent and flexible staff and a well-adapted MPS system. We put into the feature on the details to minimize costs by providing suggestions for production improvements. We strive to be the total supplier. Our customers will feel we are trustworthy and loyal as well as a long-term partner. Collaboration with our customers should be friction-free. We will work for good profitability for ourselves and our customers. We will be at the forefront of quality and delivery precision in the industry. Our company will be characterized by deep technical skills, efficient and flexible processes, environmental awareness and dynamic people who want to work in a changing world. Our customers' requirements and wishes must be ensured through a professional communication, efficient order management, structured and secure production, effective final inspection and distribution. Our customers will experience us as the best in the market in our industry. This is ensured by that we conduct regular customer satisfaction measurements and take the necessary measures and improvements. Our employees are our most important resource. This means recruiting, skills development, commitment and motivation. We are constantly working to reduce our environmental impact and prevent pollution to land, water and air. To contribute to a sustainable ecological future, we work in a way that ensures that we use the Earth's resources in an environmentally sound manner and that we comply with the environmental legislation and other requirements we are concerned with. We work to continuously reduce our environmental impact and prevent pollution to land, water and air. Raise awareness of our employees. Choose products with as little environmental impact as possible. Handle waste that occurs so that it can be handled properly. Apply caution where there is a risk of contamination. Conserve resources such as, for example, raw materials and other inputs. By working on the above we consider that we contribute to good environmental development. When the customer chooses us, they choose a company that protects the environment.